School is almost out and summer is just around the corner, which means it's time for a family vacation. If you live in North America, or are planning a trip here, there's no better way to enjoy your time off than by visiting the national parks of the western states and provinces. Did you know there were more than thirty-six national parks in the western areas of the United States and Canada? Any one of them (or plan to visit several!) can provide you and your family with the adventure of a lifetime, whether you're into mountains or deserts or the sea. So how do you go about picking a park, learning about the wildlife, choosing an outdoor activity, and finding a place to stay and eat? 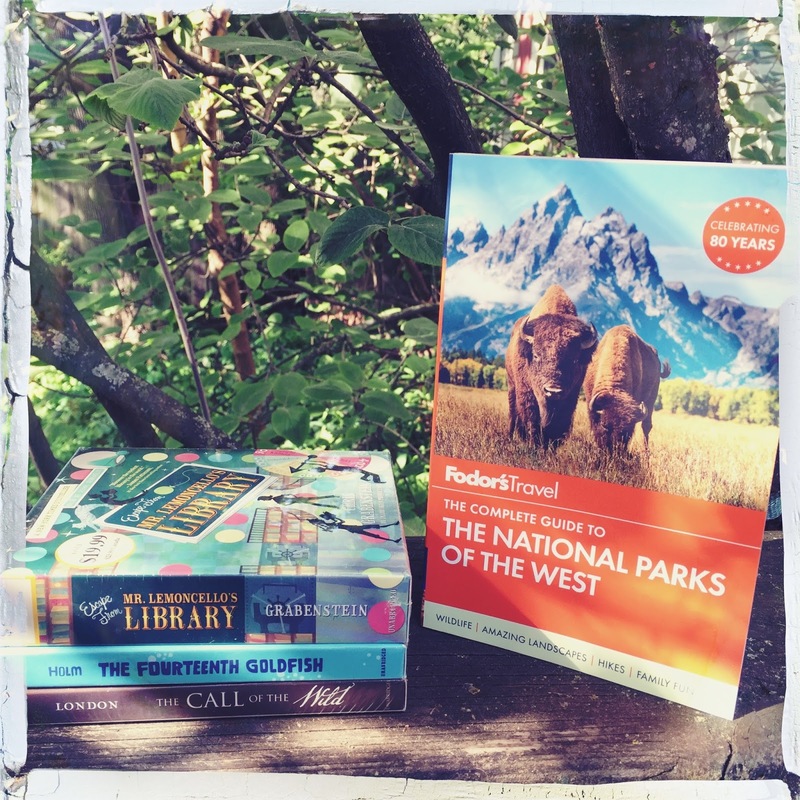 Fodor's Complete Guide to the National Parks of the West has you covered. This guide takes you from the most popular parks to the most remote and answers all your questions about what to do and see, what to pack, and how much money you can expect to spend. Of course, you've heard of Banff and Yellowstone, but why not explore one of the lesser-known parks, such as Wind Cave National Park (in South Dakota), Lassen Volcanic National Park (in northern California), or Petrified Forest National Park (in Arizona). Are you craving a bigger adventure? Check out Fodor's suggested road-trip itineraries, Visit the Canadian Rockies parks over the course of eight days or see the Black Hills and Badlands on a six-day road trip. Fodor's Complete Guide to the National Parks of the West includes everything you need to plan your trip. You'll find such information as average temperatures, transportation options, lodging, and maps. Plus Fodor's offers great advice on year-round activities like horseback riding, hiking, skiing, and boating. The guide includes charts and lists so you can learn about the local birds, find the historic sites, enjoy the nightlife, and visit the nearby attractions. One thing I really like is that Fodor's guides help you avoid unpleasant surprises. 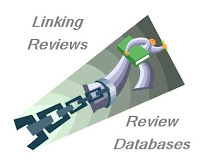 They rate the trails, activities, restaurants, and so forth by cost, appropriateness for families, strenuousness, and the like, so you can make sane, informed decisions ahead of time. Use the print guide along with the numerous national park resources found on FodorTravel website, and you'll be organized and ready to see it all. Now that you're on your way to a great vacation, Listening Library reminds us to sweeten the deal with good family entertainment for car time, evenings in the lodge, and rainy afternoons. Audiobooks are a super way to keep everyone happy and entertained. 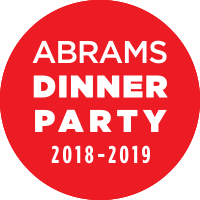 Try a classic like Jack London's Call of the Wild (read by Jeff Daniels), a fun and funny story of family and friendship like Jennifer Holm's The Fourteenth Goldfish (read by Georgette Perna), or a mysterious adventure like Chris Grabenstein's Escape from Mr. Lemoncello's Library (read by Jesse Bernstein). Do I have you all geared up for a fabulous family vacation? 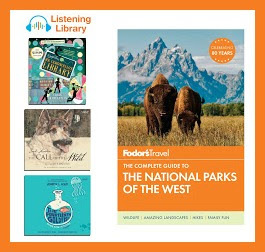 That's good because thanks to the nice people at Penguin Random House I can offer one of my readers (with a U.S.A. mailing address) a prize pack consisting of Fodor's Complete Guide to the National Parks of the West plus all three audiobooks! All you have to do to be entered for a chance to win is to fill out the following form. I'll pick a winner via random number generator on June 3. Once the winner has been confirmed, I'll delete all personal information from my computer. This is a seriously awesome prize pack, so I wish you good luck! I love guidebooks - any kind actually. I like to read them even if I'm not going to the area - they are always full of interesting information. I have several of their guidebooks and love them! What fun! I love guidebooks and the National Parks out West are definitely on our travel list. I love books that help point me in the direction of great stuff off the beaten path.